What’s new documents describe the changes in major versions, we also have a Change history that lists the changes in bugfix releases (0.0.x), while older series are archived under the History section. To read more about Celery you should go read the introduction. While this version is backward compatible with previous versions it’s important that you read the following section. This version is officially supported on CPython 2.7, 3.4, 3.5, 3.6 & 3.7 and is also supported on PyPy2 & PyPy3. Make sure you read the important notes before upgrading to this version. The 4.3.0 release continues to improve our efforts to provide you with the best task execution platform for Python. This release has been codenamed Rhubarb which is one of my favorite tracks from Selected Ambient Works II. This release focuses on new features like new result backends and a revamped security serializer along with bug fixes mainly for Celery Beat, Canvas, a number of critical fixes for hanging workers and fixes for several severe memory leaks. 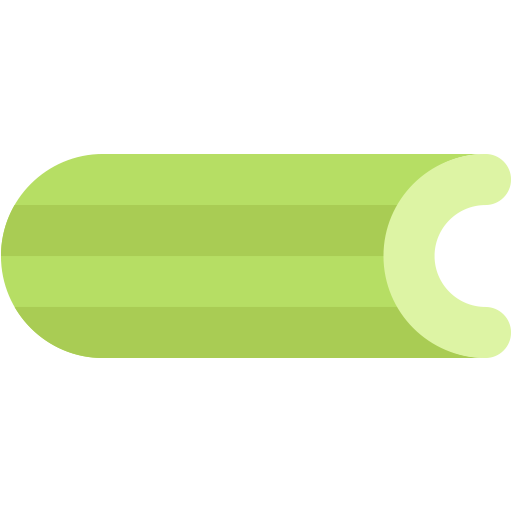 Celery 4.3 is the first release to support Python 3.7. We hope that 4.3 will be the last release to support Python 2.7 as we now begin to work on Celery 5, the next generation of our task execution platform. However, if Celery 5 will be delayed for any reason we may release another 4.x minor version which will still support Python 2.7. If another 4.x version will be released it will most likely drop support for Python 3.4 as it will reach it’s EOL in March 2019. We have also focused on reducing contribution friction. Thanks to Josue Balandrano Coronel, one of our core contributors, we now have an updated Contributing document. If you intend to contribute, please review it at your earliest convenience. I have also added new issue templates, which we will continue to improve, so that the issues you open will have more relevant information which will allow us to help you to resolve them more easily. This wall was automatically generated from git history, so sadly it doesn’t not include the people who help with more important things like answering mailing-list questions. Please read the important notes below as there are several breaking changes. Starting from this release, the minimum required version is Kombu 4.4. Unfortunately our current protocol generates huge payloads for complex canvases. Until we migrate to our 3rd revision of the Celery protocol in Celery 5 which will resolve this issue, please use one of the new compression methods as a workaround. Starting from this release, the minimum required version is Billiard 3.6. We now require eventlet>=0.24.1 . We’ve been using the deprecated msgpack-python package for a while. This is now fixed as we depend on the msgpack instead. We now support the DNS seedlist connection format for the MongoDB result backend. This requires the dnspython package. Due to multiple bugs in earlier versions of py-redis that were causing issues for Celery, we were forced to bump the minimum required version to 3.2.0. The official Riak client does not support Python 3.7 as of yet. In case you are using the Riak result backend, either attempt to install the client from master or avoid upgrading to Python 3.7 until this matter is resolved. In case you are using the Riak result backend with Python 3.7, we now emit a warning. Please track basho/riak-python-client#534 for updates. Starting from this release, we officially no longer support RabbitMQ 2.x. The last release of 2.x was in 2012 and we had to make adjustments to correctly support high availability on RabbitMQ 3.x. If for some reason, you are still using RabbitMQ 2.x we encourage you to upgrade as soon as possible since security patches are no longer applied on RabbitMQ 2.x. Starting from this release, the minimum required Django version is 1.11. The auth serializer received a complete overhaul. It was previously horribly broken. We now depend on cryptography instead of pyOpenSSL for this serializer. See Message Signing for details. The Redis broker now has support for SSL connections. You can use broker_use_ssl as you normally did and use a rediss:// URI. Previously, the events exchange name was hardcoded. You can use event_exchange to determine it. The default value remains the same. Previously, the Pidbox exchange name was hardcoded. You can use control_exchange to determine it. The default value remains the same. The Redis result backend now has support for SSL connections. You can use redis_backend_use_ssl to configure it and use a rediss:// URI. In addition, celery.app.task.update_state() now accepts keyword arguments which allows you to store custom data with the result. The result_accept_content setting allows to configure different accepted content for the result backend. A special serializer ( auth ) is used for signed messaging, however the result_serializer remains in json, because we don’t want encrypted content in our result backend. To accept unsigned content from the result backend, we introduced this new configuration option to specify the accepted content from the backend. Amazon Simple Storage Service (Amazon S3) is an object storage service by AWS. See S3 backend settings for more information. See ArangoDB backend settings for more information. Azure Block Blob Storage is an object storage service by Microsoft. See Azure Block Blob backend settings for more information. Azure Cosmos DB is Microsoft’s globally distributed, multi-model database service. See CosmosDB backend settings (experimental) for more information. Cythonized tasks are now supported. You can generate C code from Cython that specifies a task using the @task decorator and everything should work exactly the same. When task_acks_late is set to True tasks are acknowledged on failures or timeouts. This makes it hard to use dead letter queues and exchanges. Celery 4.3 introduces the new task_acks_on_failure_or_timeout which allows you to avoid acknowledging tasks if they failed or timed out even if task_acks_late is set to True . task_acks_on_failure_or_timeout is set to True by default. When scheduling tasks using celery beat microseconds are no longer ignored. You can now set the default priority of a task using the task_default_priority setting. The setting’s value will be used if no priority is provided for a specific task. Setting the task_inherit_parent_priority configuration option to True will make Celery tasks inherit the priority of the previous task linked to it. When task_always_eager is set to True , chords are executed eagerly as well. Previously, celery.result.GroupResult.join() had a fixed timeout of 3 seconds. The result_chord_join_timeout setting now allows you to change it. The default remains 3 seconds.